In western culture, people attribute value or significance to a piece of art based on the person who made it. The great thing about Native American jewelry and art, that you may or may not know, is you get more than just a name out of their piece. You might get an entire story or culture with your latest purchase and not even know it. A lot of Native American art is imbued with legends and tales from the culture. They are often reflected through symbols and figures from their belief system. 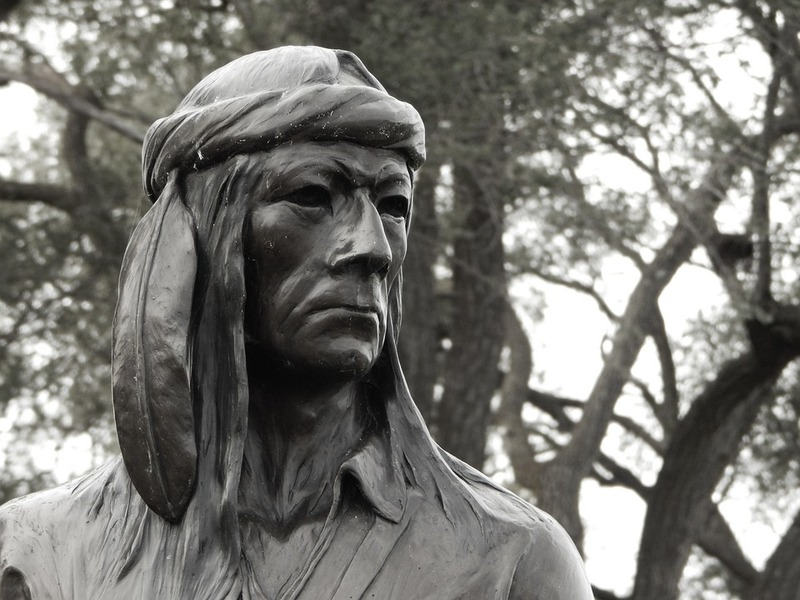 I don’t know about you, but this is really exciting because it gives people the opportunity to connect with Native American culture and the religion that were once the dominant set of beliefs in the country. Some of the most popular examples would be animal symbolism, Kachina dolls, and gemstone meanings. Animal Symbolism- There are too many examples to name them all, so I’ll just use a popular one, the Coyote. This figure appears often in Native stories and is seen as a wise god-like creator. 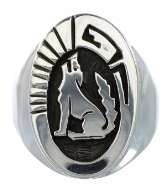 The meaning behind the Coyote symbol is intelligence and craftiness. People believe wearing this symbol will enhance these traits in the wearer. If you want to learn more about Native American symbolism, click here. Kachina Dolls- You may have heard me mention Kachina dolls before. They are figures, most popular among the Hopi Tribe, that represent the spirits of nature and the ancestors of the Hopi people. They are believed to come down from their mountain home to help the Hopi each year. There is even a celebration ceremony held for their coming and going. Just like the animal symbols I mentioned, Kachinas have their own meaning and function within the Native community. The Kachina pictured to the left is Nataska, an ogre Kachina that serves as a type of boogeyman, punishing bad children. Gemstone– The very stones that comprise Native American jewelry also have a story to tell. You might be more familiar with this concept because we like to buy people birthstones and give meaning to them in our culture too. One of the most prominent stones in Native jewelry is turquoise. 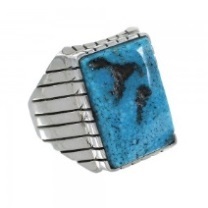 Turquoise is believed to have healing properties because of its pure, blue hue. Experts believe this thought comes from the connection of the color and the purifying nature of water. Many other cultures have similar views on turquoise as well. You see, you just get a lot more out of Native jewelry than you would from an individual. You get to experience the history and beliefs of an entire people at the same time.